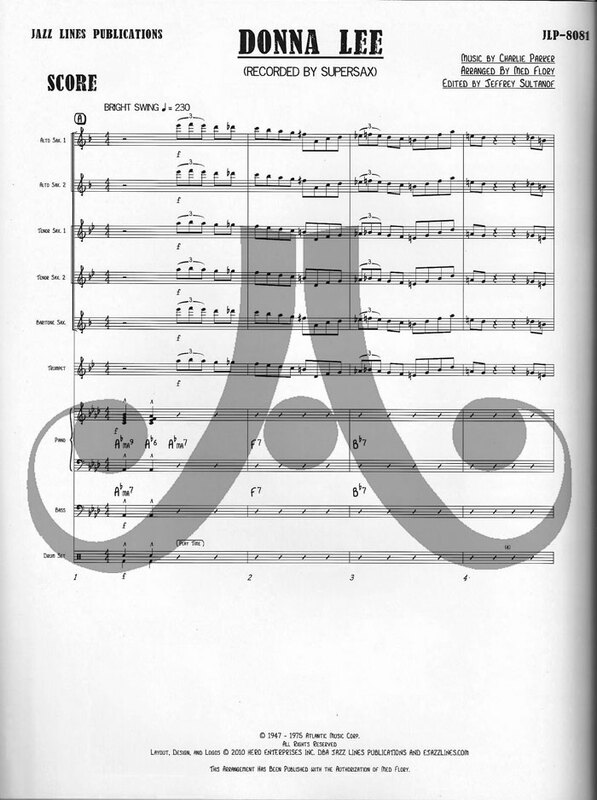 Here is the Supersax arrangement of 'Donna Lee' as written in 1978. It was to be included on the 1980 'Dynamite' record. However, Med decided not to use this arrangement. So, it was never recorded. 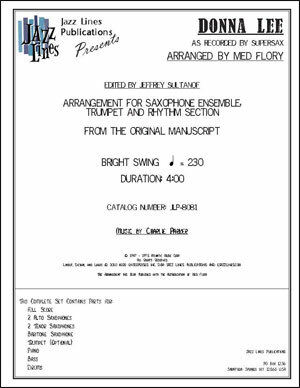 An open solo section and optional trumpet part have been included. Like the other Supersax arrangements that we publish this is not a transcription. The original, hand-written manuscript has been used to produce this arrangement. This has been published with the authorization of Med Flory.